The need for personal vehicles is dwindling with the rise of self-driving cars and sharing services — such as zipcar, Hourcar and car2go — according to a University of Minnesota Center for Transportation Studies report published this month. The study was also sponsored by the Minnesota Department of Transportation and the Minnesota Local Road Research Board. The report also says that the growth of sharing services will yield smaller models of cars and increase urban demand. Someday, according to the report, cities could designate streets for dropping off and picking up cars rather than for parking. With fewer cars parked on the street or sitting in parking garages, cities will have less congestion and more space, said Nice Ride Minnesota Executive Director Bill Dossett. Car-sharing service users pay per trip, eschewing usual expenses like monthly loans or maintenance, said David Levinson, a civil engineering professor and the study’s principal investigator. The report found that autonomous vehicles are safer as they don’t tire the way human drivers can and increase mobility for children and people with disabilities who may have had trouble getting around otherwise. The report estimated that within 20 years, self-driving vehicles will become commonplace. “We won’t have [a self-driving vehicle] tomorrow, but we could have it in 10 years,” Levinson said. He said with car-sharing, a person can go wherever they want whenever they want, though it’s often expensive. Increased adoption of vehicle automation will result in cheaper transportation costs for people, he said. Paying drivers accounts for most of the fees of ride-sharing services, Levinson said. Still, owning a car may be beneficial depending on where the user lives, Levinson said. If someone lives on a farm or in a suburb, they may have to wait up to 15 minutes for a car to pick them up. Still, attitudes about car ownership, especially among millenials, are changing, Hansen said. “It’s going to take time. We are still very much a car-centric culture, but car-sharing has been growing pretty rapidly around the world, and I think that will continue,” she said. So your city has traffic congestion. Welcome to the club. Congestion not only wastes time, it increases pollution and crashes. While this undoubtedly annoys you as a traveler, it could be worse; your city might not have congestion because no one wants to be there. Still, it would be great to have a thriving city without congestion. People could reach more destinations in less travel time, and thus have more time to spend doing the things they wanted. If you figure it out, let us know. Congestion, due in part to weather, on I-94. Political double-speak today “addresses congestion” rather than “solves congestion” (almost twice as often according to Google). This is probably because policy-makers want to sound like they are doing something without promising anything. But I don’t think talking to congestion accomplishes much. There are a number of proffered solutions out there. Congestion is, in principle, a mostly solvable problem, even if no fast-growing city has fully solved it. This article outlines 21 ways that congestion could be solved. Some of these are dumb, many are good, one is great. Capacity – Perhaps the most obvious, ‘common sense’, solution when demand (traffic) is in excess of supply is to expand capacity. This is what we do with most things if we can. If our house is too small, we make it bigger. If the internet is too slow, we add capacity. In roads, this usually means adding lanes to existing roads. The first problem with this solution is that it is expensive. Buildings are built close to (or on) the proposed expanded right-of-way, so taking them in addition to being costly brings in an additional socio-political dynamic — people don’t like to be moved. Further, if you expand capacity, demand will respond. Travelers will switch routes, time-of-day, mode, and destination to take advantage of the new faster travel times, which means these wider roads won’t be nearly as much faster as hoped for. New (induced) developments will be built, and much of the capacity will quickly be used up by new travelers. There will still likely be a small amount of travel time saved for existing travelers, and the new travelers do gain benefits (otherwise why would they make the trip), so it is not necessarily a bad thing, but it may not solve your congestion problem. Connectivity – Often the problem is not width of the road, but where it goes. A new road that goes directly to the right place can replace a longer route that doesn’t. So reducing the circuity (indirectness) of the network through selected connections can reduce congestion and total traffic by taking traffic off of longer routes. Even when there is nominal connectivity, it might not be very good. A bridge can replace much slower and lower capacity ferries, eliminating a bottleneck. But as with capacity expansions above, it can be very expensive. In a mature network, all the cheap and useful roads have been built already. A new connection may be cheap, or it may be useful, but it won’t be both. The induced demand outcome also applies. Closure – Perhaps counter-intuitively, if we shut down key links on the network, we could also reduce congestion. If people can’t get across a River, they won’t drive from Home to the River either, reducing traffic along that path. Just as there is induced demand when capacity is added, there is reduced demand when it is taken away. In selected cases there is something called Braess’ Paradox, which says that some links result in an increase in overall travel time when they are added (and so reduce overall travel time when they are closed) because individual selfish routing choices can lead to bad outcomes. Controls – The next most obvious solution is to use the infrastructure we have better. When we have a stop-sign controlled intersection, and there are long queues, we add traffic lights, which manage traffic better because there is less time lost in starting and stopping. Coordinating traffic lights on a city street grid can make sure more vehicles hit green lights. The use of controls on freeways includes devices like ramp meters, the traffic lights at freeway on-ramps, that manage the input flow to keep the freeway flowing (more) freely (than it otherwise would). Traffic engineers have suites of controls that try to squeeze in a few more cars on the same set of pavement by reducing the size of gaps between vehicles. These can help, and may be worthwhile. However, this is on the order of a 10% reduction, rather than the 100% we would like to see. And these gains are potentially absorbed by both general traffic growth where that occurs, and induced demand in a mature system. Crashes – It is sometimes estimated that half of all delay is due to non-recurring congestion, most notably crashes. First, we want people not to crash. Crashes can be reduced by better designed roads. Crashes can also be reduced with better-trained drivers. Making licensure more difficult so the drivers are better is one strategy. Making driving more expensive so fewer people (and especially fewer marginal drivers) are driving is also significant. More importantly, crashes can be reduced by better-designed drivers. Over the longer term, we need to replace the human with the machine. Second, we want crashes to be cleared quickly. Quick emergency response helps save injured travelers. Freeway service patrols (under various names), help clear crashes and reduce the amount of subsequent delay. Construction – Maintaining roads is important, without proper maintenance they would eventually cease to be. But closing entire roads for construction can’t be the right strategy, can it? Well, it depends. The alternative, trying to do construction one lane at a time will take much longer. So for a 4 lane road, closing one lane at a time for 6 months each will take 2 years, but closing all 4 lanes, and requiring travelers to detour might take less than six months as it is more efficient. Doing all work at night or weekends is another strategy. The cost of the delays vs. the cost of construction need to be properly weighed. Competing modes – Just as widening a road is in theory a solution to a congestion problem, building a competing mode is also a theoretical solution. By building a rapid transit line or running an express bus, or even building sidewalks and bike lanes, other people may switch off the road, leaving the roads faster for the rest of us. The traditional induced demand argument follows. The evidence on this is weak though, most transit construction serves transit riders (which is a good thing) and doesn’t reduce congestion much. Gauge – Track gauge, the width of railroad tracks, determines the width of the trains. As with railroads, the gauge of roads has been largely determined, with freeway lanes being 12 feet wide, and cars, buses, and trucks are narrower so that they fit. Lanes on surface streets vary a bit more, but tend to be similarly sized in newer developments. Most cars carry one person most of the time, but are sized for at least 4, 2 in parallel, and 2 rows. If cars were half as wide, we could fit twice as many in the same space. This is what we do with motorcycles and bicycles. Pedestrians can even fit more. Before the motorcar, long distance travel by horse was one man / one horse usually, and the occasional horse and carriage for multi-person trips or cargo. Now the carriage is brought along whether it is needed or not, wasting space and delaying others. Redefining the gauge of road lanes, so that lanes at least are split for narrower cars could double capacity. Storage – On surface streets, we waste pavement storing parked cars. A lane or turn-lane or half-lane or bike-lane or bus-lane can often be added in the space devoted to unmoving metal, increasing throughput. Adjacent property owners are often under the mistaken impression they or their customers have a right to park (for free!) on the public street in front of their house. When there is no congestion, this is not a problem. Where there is congestion, this artificial right is costly to society. Information – People are terribly inefficient routers, choosing routes that are not only not the shortest for society (which is to be expected) but not the shortest for themselves either. Using real-time traveler information rather than their own intuition and incomplete mental maps, drivers can find the shortest path to their destination, reducing their trip length and travel time, and reducing congestion for others. Autonomy– While humans can barely safely drive with a two-second following distance between vehicles, autonomous vehicles with advanced sensors, in an environment where most or all the cars are autonomous, are expected to follow at less than one-second. That doubles capacity right there. They also don’t require nearly as wide a lane as human drivers do, which could almost double capacity again (this is the same gain we would see with narrow cars). How well this work on city streets, as opposed to freeways, remains to be seen, but up to a four-fold increase in freeway vehicle capacity just from autonomous vehicles is well-within the realm of possibility, and while it will induce demand, should buy significant congestion reduction gains. Even non-freeways will benefit as more travelers switch to the less congested freeways. The first set of strategies are basically supply side. But congestion is caused by a mismatch of supply and demand. So let’s turn to demand. Locating – If only other people lived near where they worked (shopped, studied), they wouldn’t have to travel as far, and so would be on the roads less (assuming they still traveled by car) or not at all (if they walked). While at some level, people coordinate location of origin and destination (they are usually in the same metropolitan area), they could certainly do so better. From a public policy perspective, moving more jobs out to where people live, and more people to where the jobs are, increasing the local balance between jobs and housing can reduce travel. In practice this is difficult, as there is no mechanism to require people to take local jobs or firms to employ local residents. The best municipalities can do is ensure the zoning permits developers to build appropriate developments. Still, ensuring the opportunities are there is one thing (and at best you can ensure developers are permitted to develop these opportunities), ensuring people partake of those opportunities is another. The cost of this also needs to be considered. There are reasons many firms like to locate near other firms rather than workers, which has to do with economies of agglomeration and the efficiencies that can be had from close inter-firm coordination. Telecommuting – At the extreme of mutually co-locating home with respect to work is working at home. This involves no commuting travel outside the home, though may induce some additional non-work travel outside the peak. This has been growing slowly over the past decades, and is amenable for many, but by no means most, jobs. Like location, this is largely an individual decision. Better broadband would help, and encouraging employers to allow or require employees to work from home would not reduce this trend, but it is hard to see outside of money or regulation in some form what persuades firms to behave differently with regards to incentives for where employees work. Still, the more people that tele-commute (tele-shop, etc.) the fewer that are traveling, all else equal, which it never is. Scheduling – We also wouldn’t have congestion if not so many people wanted to travel at the same time. We could stagger work hours, so not everyone arrived at work at the same time. Some large firms already do this, but it could be expanded. The downside is that the whole point of everyone going to work at the same time is that they be there together (or at the same time as customers and vendors) so that can collaborate. The point of going to work is only in part the ability to use expensive machinery in isolation. It is also about the gains from cooperation of people being at the same place at the same time. If people didn’t need to do that, and were (almost) as efficient as working from home, then there would be little point in traveling at all. Sequencing – We do not begin and end all trips at home, we chain our trips together to reduce the total amount of travel. We go from work to the store to another store to home. This not only saves us time, it reduces congestion. Do this more systematically, with a little more planning, and you can reduce more congestion. Shipping – Just as chaining trips may be efficient for you, chaining trips may be good for your goods. Instead of you and your neighbor each making a trip to the store and back (A -> Store -> A, B -> Store -> B). The store can send out a truck (or robot, or drone) and drop off goods at you and your neighbor’s houses before returning (Store – A – B – Store), which should reduce the total mileage on the network (though the trucks will need to load and unload frequently). Sharing – Carpooling has been around since the dawn of cars, and sharing the back of a horse, camel, or llama before that. It is easiest when there are two people going from the same place to the same place (like members of the same family going from home to work) at the same time. All this sameness though requires coordination to arrange, or sophisticated matching to discover. While people may carpool with non-co-resident coworkers in their youth, one party (whoever is the most efficient or earliest riser) will tend to find the cost of waiting for the ride (or worse, waiting for the passenger) to be too costly, and eventually everyone gets their own set of wheels if they can afford it. HOV lanes or restrictions in some cities encourage people to pickup strangers (sluggers or jockeys) to fill up the extra seats to save time. Overall this is a small phenomenon. But imagine you could get paid for picking someone up along the way and dropping them off — ridehailing services like LyftLine and UberPool are moving in this direction — you might be more inclined. Information technology is enabling everyone to be a taxi-driver. Whether they want to be is another question. Walking or Biking – Maybe you still like your independence and don’t want to comport to someone else’s schedule, you just don’t want to be in a car. If more people walked instead of driving, the sidewalk utilization rate would increase, while the road utilization rate would decrease. Bikes similarly would congest bike lanes and bike paths, but that’s not as much of a concern, and bikes in mixed traffic can sneak through without congesting cars that much. Walking and biking are both up over the past decade. The best opportunities for substitution are for short distances, which are a large share of trips though a much smaller share of miles. Rationing – If your license plate ends in an odd number, you can travel Tuesday, Thursday, Saturday, and Sunday. If it ends in an even number you can travel Monday, Wednesday, Friday, and Sunday. Therefore each weekday will have half as many travelers, right? Alternatively, license plates ending in 1 or 2 can’t drive on Monday, 3 or 4 can’t drive on Tuesday, and so on. Therefore each weekday will have 20% fewer cars. This strategy has been tried in a number of cities, and has been used in the US to ration gasoline during the oil crises of the 1970s. In practice, people with money (which is to say, most people with cars) get a second car to travel when they want. People swap cars, or license plates. People get around these regulations, which are a terribly inefficient way to reduce congestion. Pricing – Charging people for the use of roads, more when and where it is congested, less when and where it isn’t, will foremost reduce travel during congested times, and thereby reduce congestion, and may increase it in uncongested periods when there is excess capacity (depending on the charge) as people adjust their schedule. This better balances the load on the network, and is a strategy undertaken in most transport modes, as well as other time sensitive businesses like restaurants and movie theaters. How do travelers reduce travel? This is the best part. Each individual decides for themselves when to change location, when to change schedule, when to work from home, when to have something delivered rather than making a trip to get it, when to use a different mode, when to share a ride, when to reroute, and when to forego a trip, thereby making decisions that are individually rational. Doesn’t this lose road agencies money? This is the second best part. With pricing, properly regulated road utilities will see roads as a valuable commodity rather than a commons, and if they increase throughput more they can sell more. They will try to be more efficient about managing the use of the existing roadspace, but won’t have an incentive to build unnecessary new links. Can this work? This is the third best part. There are many proposed strategies to implement pricing. Obviously this has been politically difficult, or it would already be widespread. Transforming road agencies into public road utilities is one step. Further, the emergence of electric vehicles and the advent of autonomous cars reopens the window of opportunity to consider pricing to replace gas taxes, and enable road demands be managed far more directly. There are undoubtedly some pet solutions out there not discussed here, and lots of details overlooked. Feel free to add more in the comments. Congestion is over, if you want it. What physical goods can—or should—be shared, and what should be owned individually? As the answer to that question slowly changes, the direction of our transportation future is changing, too. In a report sponsored by the Minnesota Department of Transportation (MnDOT) and the Minnesota Local Road Research Board, U of M experts examine three dimensions of sharing—cars, rides, and bikes—and their emerging implications for transport. Car-sharing services such as Zipcar and Car2Go allow users to share a car just as they share a hotel room—by paying a third party and using it at separate times. Ride-sharing services such as Lyft or Uber function as modern taxi services that use mobile phone applications to allow passengers to request rides from independent drivers. Finally, bike-sharing services like Nice Ride Minnesota allow bicyclists to use a bicycle at the location they need it, often as an extender of transit service. In the future, the report’s authors believe that with more widespread use of information technologies and the maturation of autonomous vehicles, ownership and possession will no longer be necessary prerequisites for on-demand mobility. Levinson’s research is part of a multi-pronged study that analyzed the technological shifts altering surface transportation and the implications for Minnesota. Other contributors included CEGE assistant professor Adam Boies and Humphrey School of Public Affairs associate professors Jason Cao and Yingling Fan. Their high-level white papers are compiled in a final report: The Transportation Futures Project: Planning for Technology Change. There is much controversy over whether the state can regulate the right to ownership and so on, and usually it goes back to what the founders meant about “A well regulated Militia, being necessary to the security of a free State”. I think its pretty clear the founders intended for “the people” (i.e. white men) to have guns, in case they needed to be pressed into service to fight native Americans, prospectively rebellious whiskey distillers, or the British. A friend of mine points out that far less attention is paid to what is meant by the term “Arms”. If we go back to original intent, the word “Arms” in 1791 meant armaments that were available in 1791. For instance, few argue citizens should have a right to an atomic bomb. The founders did not conceive of those weapons as falling into the rubric of Arms, and probably would not have supported that if it did. Their view of Arms was informed by the recently completed Revolution. The arms that were available during the revolution include the Flintlock Musket. Notably, interchangeable parts were not even established yet, so these were handmade. So if you want to argue original intent, go for it, just accept that only handmade weapons available prior to 1791 are constitutionally protected. If you argue original intent, you argue the constitution guarantees people their cross-bow, sword, musket, and bayonet, but fails to protect more recent weapons. Efficiency of Beijing Subway Lines: Change in Person Weighted Accessibility per km. This study measures the job and population accessibility via transit for Beijing using the cumulative opportunity metric. It is shown that transit accessibility varies widely across Beijing, but is highly focused on subway stations. Early lines added far more accessibility than more recently planned lines. First, understand how your family racks up mileage, says Atlanta financial planner Brandy Wright. In particular, look at how often you use multiple vehicles at the same time; consider not only commuting but also night and weekend trips. If you doubled up only a few times a week, you’re a strong candidate for downsizing, says David Levinson, a civil engineering professor and researcher at the University of Minnesota’s Center for Transportation Studies. Then, to compare costs, understand what you’re spending now. Charge all your gas purchases? Check your account statements to see last year’s damage. Add what you spent on maintenance and insurance. If you have a lease or loan, factor that in. Average new-car payments were about $482 a month last year, Experian says. Transit today is, in almost all U.S. markets, slower than driving. 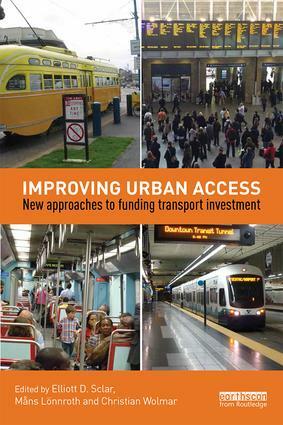 People who depend on transit can reach fewer jobs than those who have automobiles available. Some people use transit by choice, for instance to save money (if they need to pay for parking), and the rest without choice. In my opinion, it is more important to spend scarce public dollars to improve options for those without choices than to improve the choices for those who already have alternatives.